We looked at the top 1 Ping Pong Tables and dug through the reviews from 4 of the most popular review sites including BestReviews, Equipment Junkie, Best Outdoor Ping Pong Tables, DD Plan and more. Through this analysis, we've determined the best Ping Pong Table you should buy. If you're serious about your game, you can't go wrong with the Butterfly Centerfold 25 Ping Pong Table, the official table of the 2004 and 2005 U.S. Open International Table Tennis Federation Pro Tour Championships. It has recessed legs, which makes it wheelchair accessible. It's a pricey table, though, so it likely won't be on your list if you're just a casual player. In our analysis of 39 expert reviews, the Butterfly Butterfly Centerfold 25 Ping Pong Table placed 2nd when we looked at the top 9 products in the category. For the full ranking, see below. A pro-grade table. Heavy duty construction and 5 year warranty. Approved by International Table Tennis Federation. Its folding mechanism allows you to fold up both sides at once when you need to store the table. Also, another noticeable point is that the legs are recessed 400mm underneath making this table a wheelchair friendly one. Simply put, it’s a ‘tank’ and will hold up to almost daily use and constant play. You see it in competitions and professional play because the bounce is absolutely perfect. The table is fairly easy to move and store, thanks to the included five large locking rubber wheels and the one-piece foldable design that allows you to easily store this regulation size table in a tight spot in the basement, garage, or in the corner of the family room. A bit pricier than some other models. Heavy. The only downside to the Butterfly Centerfold 25 Table Tennis Table is its price tag. Not much we can think of except maybe the price level. This indoor ping pong table from Butterfly is meant for club or tournament play. It’s not meant for the casual family game of table tennis. The lack of a playback feature can be a drawback for people who are looking for a table that can use for practice. 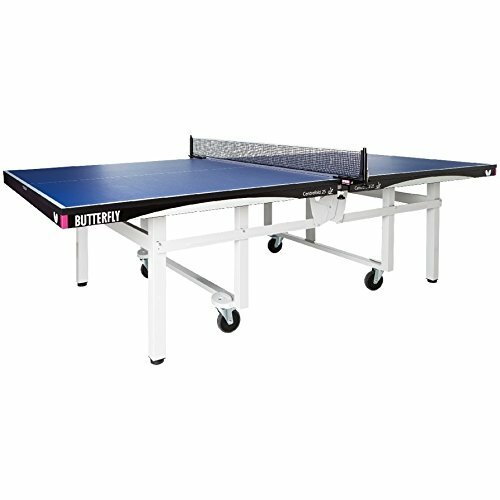 The Centrefold 25 table tennis table by Butterfly Table Tennis is perfect for competition or those wanting exceptional quality. 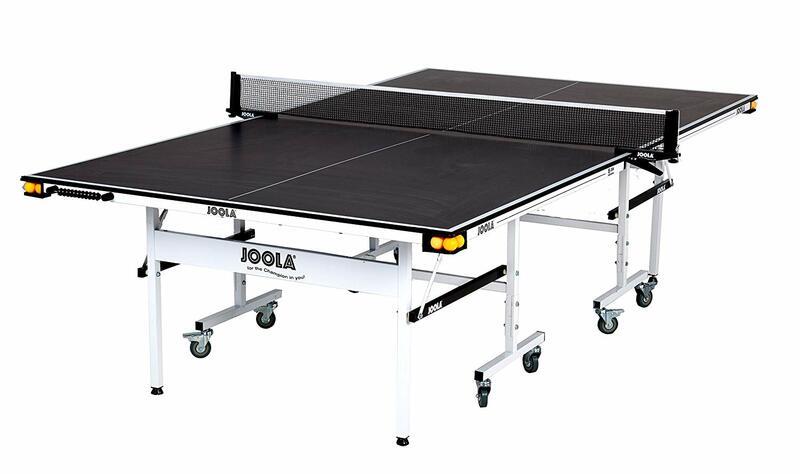 Backed by a 5 year warranty, this professional ping pong table is dependable and ensures the highest quality. The 1 inch top gives a very consistent bounce perfect for professional or home competitive play. The frame is sturdy and durable with 2 inch square steel legs. This table ships fully assembled and has a one piece, foldable and rolling design that's perfect for those with minimal storage space and easy enough for one person to maneuver. The 25mm top is scratch proof and surrounded by a hard PVC band with a strong two inch steel rim. The legs are placed 400mm inward which complies with the ITTC ruling for wheelchair competitors. Unlevel floors? No problem. If has adjustable feet to keep your table level. Included is the Europa Net Set, which is the highest professional quality net set by Butterfly. 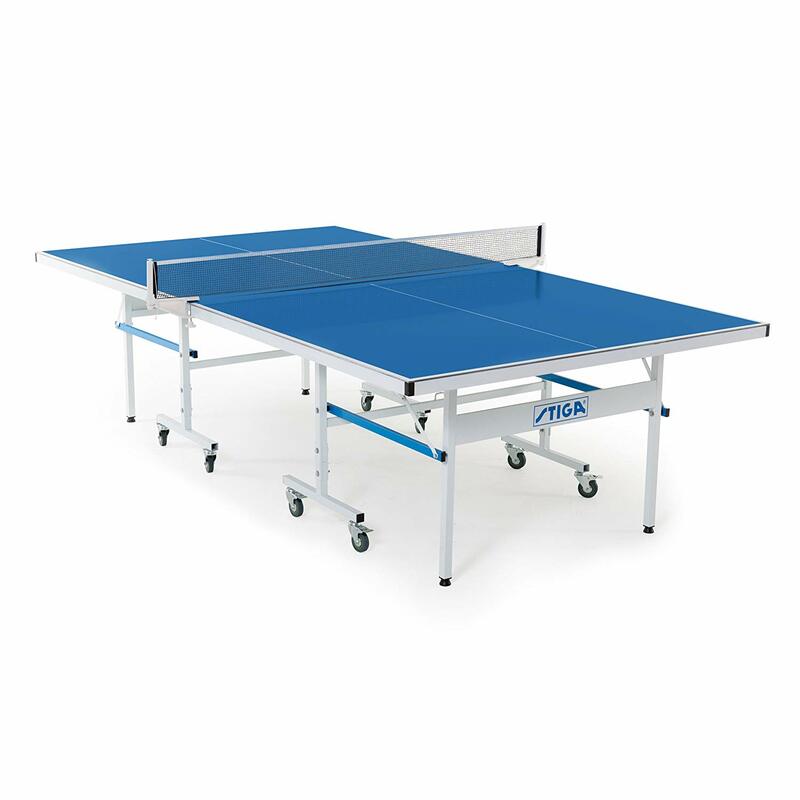 The Centrefold 25 table tennis table is approved by the International Table Tennis Federation ( ITTF ) and was the official table for the 2004 and 2005 U.S. Open ITTF Pro Tour Championships. It is currently the official table of the Butterfly North America Tour. The Centrefold 25 has a regulation size 9x5 top and is 2.5 ft high in the playing position. It folds and locks into storage position with the release lock safety feature. When in the storage position, it is 5 ft wide x 1.6 ft long x 5.25 ft high. Butterfly is the preferred table tennis brand by professionals around the world.